Inway hosting is a Tamilnadu based web hosting company and well known for low-cost web hosting service. Comparing to Godaddy, inway hosting is way more chipper on price range. So if you are looking for a low budgets web service then inway hosting will be your first choice. Wait, don’t go away! This is not a Promotional blog post! So let’s try to figure out why Inway hosting is so chipper? Are they good and reliable for your website? Why there are so many complaints against them? Let’s began? If you only primary goal is to get a lowest of lowest budgets web hosting service then inway hosting is for you. The lowest hosting plan is Rs-83 where Godaddy offer Rs-99 on their lowest web hosting plan. Unlike Godaddy, there are no changes in prices while you renewing. We have noticed that Godaddy put ads that then offer web hosting @ Rs-99.00 But this on time offer and applicable for first time sign up. So later while it’s time to renew your hosting account Godaddy will charge you lot more, and almost its X5. I have seen a lot of chip web hosting provider offer such low-cost hosting but when it’s time to service customer then limits themselves with only email support. 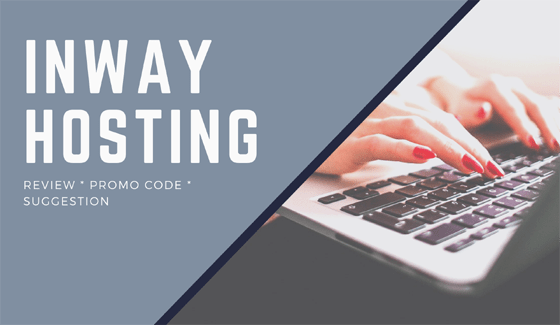 But inway hosting has full of customer support service like live chat support, email support and phone support (up to 100 lines) and again inway hosting offer anytime call back request to their customer. If you are Tamil speaker then inway hosting allows you to speak with their customer executive in your mother thong. It is ineradicable. Moreover inway hosting is a 10-year-old company. Don’t ignore their long experience and troubleshooting techniques. There are lots of complaints on the internet against inway hosting. Most of the complaints are saying that there is a big communication gap between inway hosting and customer as they are not comfortable in speaking in English and Hindi. Some of the complaints said that they only can speak Madrasi. Another complaint said that inway hosting is not a legal company but there is a branch of people who are managing inway hosting web hosting service. As this information is not right as I have personally visited their office at Coimbatore. They are very friendly but workspace is very small. So for an online customer, it would very challenging to judge and choice inway hosting service. Comparing to Godaddy, You can see it that Inway hosting allow you to access only 10 MySQL DBs, into their unlimited hosting plan. So there is still so many limits to manage your websites. But other web hosting company allow you to access and create an unlimited number of database. After reviewing inway Hosting Server location we can say that they don’t have any data entry in India. Instead, they are using another company resell program. Inway hosting does not allow you daily backups into their UNLIMITED Basic plan. But in Godaddy, you will get 7 days daily backups. Daily backup is biggest security levels as thousand of hacker are waiting for this weakness. There is a big question of Security of your websites. As inway hosting is small web hosting company so I guess there is no Server security specialist team there. So if you websites really matter your business then you should pay a litter extra to get high-class server security on Godaddy or host gator. So what do think about Inway Hosting? Or your website does really matter your business and want to get a better web hosting like Godaddy or host gator? Let’s sign up here. Is dr. Diwan sms sending jobs a scam?